Yo Ho Ho, Bay Viewers, ye are all cordially invited aboard our fancy dress National Pirate’s Day special on Wednesday the 19th September. 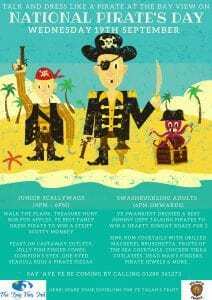 The National Pirate’s Day shindig kicks off from 4-6pm with some action packed fun for the children. Expect games like walk the plank, a treasure hunt, bobbing for apples and of course the best dressed little scallywag gets to take home a very mischievous Steiff Scotty Monkey. 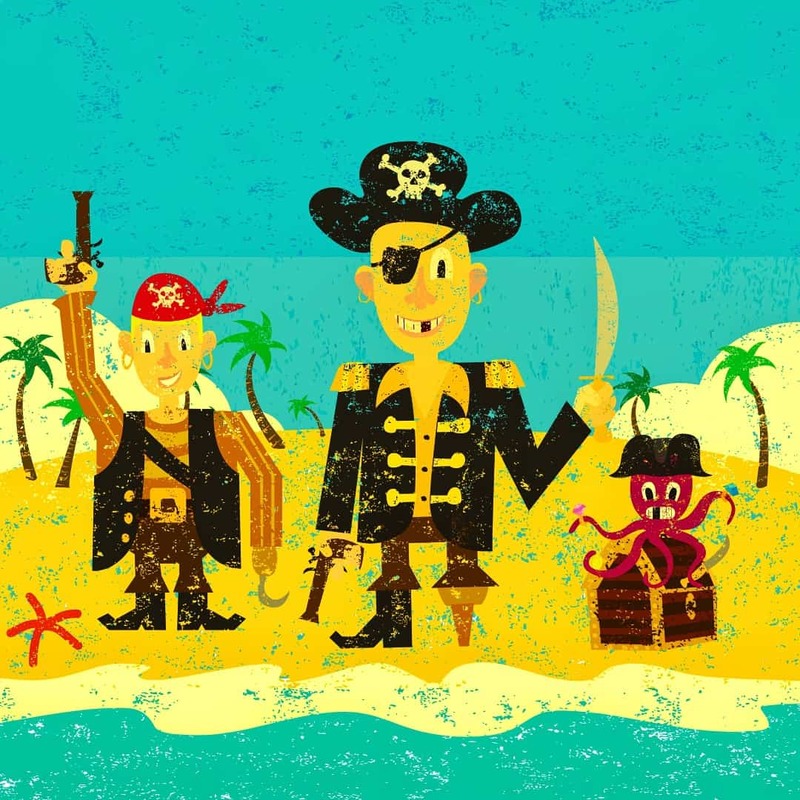 Our children’s pirate menu is a feast too: castaway cutlets, jolly fish finger cones, scorpion’s eyes, one-eyed seagull eggs and pirate pizzas. For the adults, from 6 onwards we’re talking rum cocktails washed down with grilled mackerel bruschetta, fruits of the sea cocktails, chicken tikka cutlasses, dead man’s fingers, pirate jewels – and of course the best dressed pirate – and best Johnny Depp impersonating seadog – will both receive a Sunday roast dinner for 2. As usual, we’ll be supporting Talan’s Trust, so any spare doubloons you have left after an evening spent plundering our ole tavern please give heartily. Say ‘aye ye be coming by carrier parrot or by calling us on 01288 361273.